<<11th February 2019 – Hong Kong>> Following the successful launch of Aulis Hong Kong last month, celebrated chef Simon Rogan shakes up the local culinary scene once again with the opening of ROGANIC, his second restaurant venture in the heart of Causeway Bay. 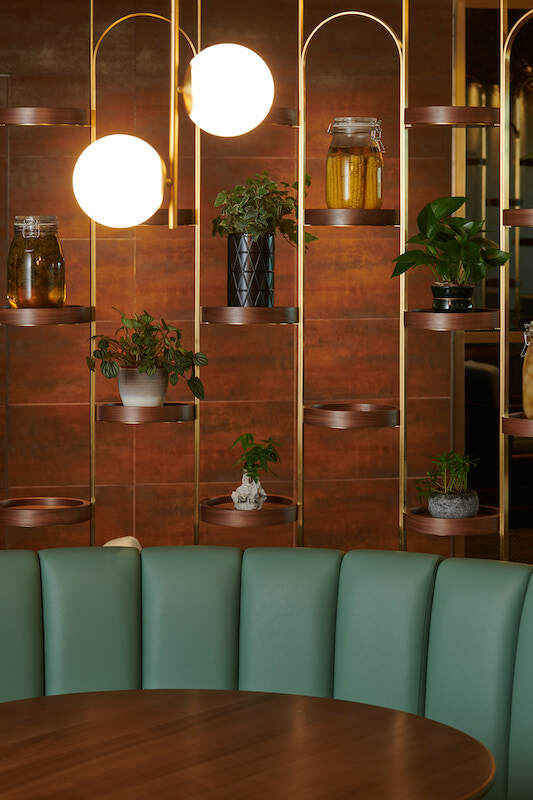 Located alongside 12-seater chef’s table Aulis, Roganic presents a city-centric take on a farm-to-table dining experience from London. With a focus on fantastic natural wines and fresh ingredients, Roganic Hong Kong is the continued success story and first international outpost of its one-Michelin-starred restaurant in London’s Marylebone, which first arrived as a two-year pop-up. Equipped with an award-winning team of chefs, Roganic will carry over elements of Simon Rogan’s two-Michelin-starred L’Enclume whilst adapting to the local palate in fun and eccentric ways. 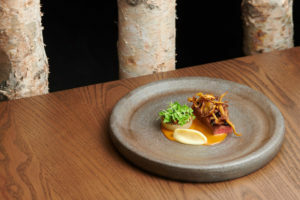 Roganic Hong Kong is set to open after Chinese New Year this mid-February 2019 as a complementing sister venue to Aulis Hong Kong. 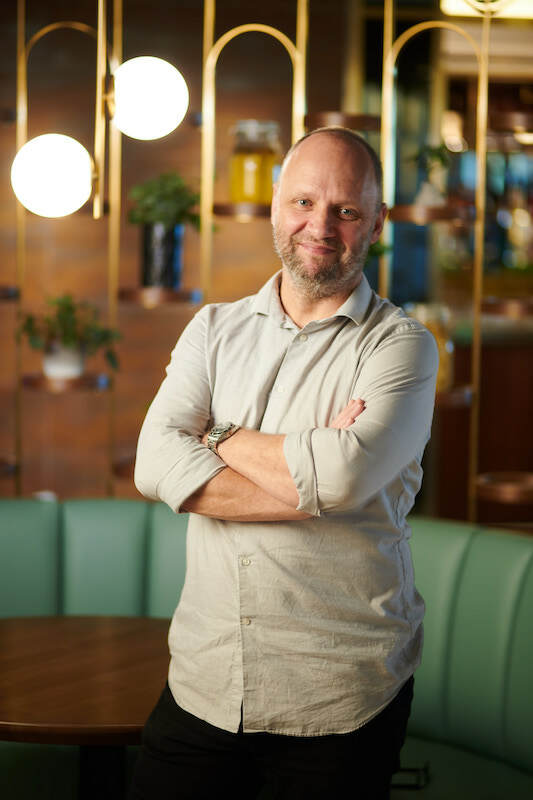 For the opening menu, Simon Rogan and his team have created a series of innovative dishes that highlight ingredients picked fresh from local farms, taking on the Hong Kong branch with a new vision focused on Asian ingredients. 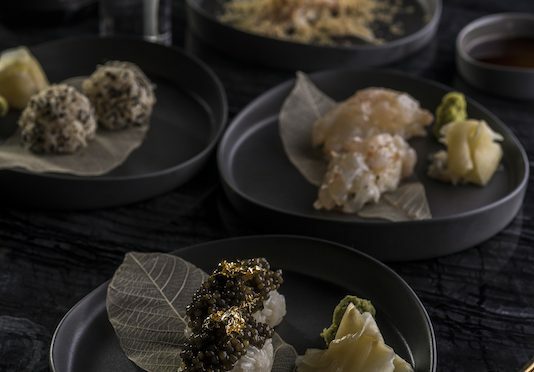 Guests will have a choice between the ten-course Roganic Long Taster Menu (HK$980) for the full Roganic experience, or the eight-course Roganic Short Taster Menu (HK$680), both with the option of wine pairings. The Roganic three-course Set Lunch Menu (HK$280) highlights three types of appetiser, signature dishes and desserts, offering a glimpse into the world of Simon Rogan with the power of three. To the delight of Rogan fans, many of the dishes that debuted at Aulis will also be available at Roganic this season, along with other ever-changing creations by the chefs. Treat your palate to the sensations of Pumpkin / Bay Leaf / Nashi, a tartlette made from preserved pumpkin filled with diced, cooked local pumpkin, Japanese pear and bay leaf jelly, pumpkin mousse and seeds, all served with a shot of fermented pear and pumpkin kombucha. 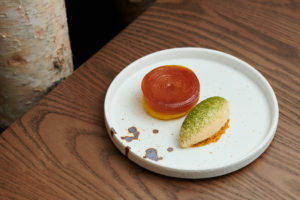 The Sea Urchin / Caviar is an umami-packed flavour bomb of sea urchin custard topped with sea urchin roe, a thin layer of pickled vinegar jelly, sugar kelp cooked in its own stock and Simon Rogan-branded Borax-free caviar from Petrossian in Paris. A quirky take on Japanese karaage, the Chicken / Young Squid is a fritter of juicy confit chicken coated in puffed squid tapioca and squid ink crumbs, served with a mustard emulsion and viola flowers. One of the biggest hits from Aulis was the Grilled Salad / Truffle / Westcombe Cheese, a brilliant ‘salad’ of dashi-marinated brassicas from the New Territories that are grilled and smoked over cherrywood embers, and sits on a bed of truffle custard with a dressing of chilli garlic oil. The dish is finished with a savoury cheese sauce made with Westcombe cheese and grated black truffle. The Salt Baked Celeriac is a celebration of the season, served with caramelised celeriac puree, whey espuma, watercress oil and malt crumbs. A seafood lover’s dream, the Codfish / Black Garlic uses a brined, steamed and blow torched cod fillet coated with a sauce infused with powder made from dried mint, orange, lime, licorice and vanilla, garnished with black garlic emulsion and roasted red cabbage. As part of the Roganic Hong Kong opening this Chinese New Year, Chef Simon Rogan also introduces his first Roganic Dessert Bar experience in Hong Kong. With a total of eight seats available at the dessert counter, guests can order the desserts as a la carte (priced at HK$108 each) or as part of a tasting menu format (HK$480 for all 5 desserts). Signature desserts include Stout, Molasses & Burnt Milk, Yellow Beetroot Sorbet, Buttermilk, Mint, Apple Tart and Juniper Ice Cream, Yuzu Curds with Anise Hyssop and Raspberry Grains and Rhubarb with Fermented Honey, Beetroot & Rose. A cocktail and drinks pairing with libations such as Washed Ethiopia Pour-Over and Yuzu, Oolong Tea are also available for the ultimate experience. 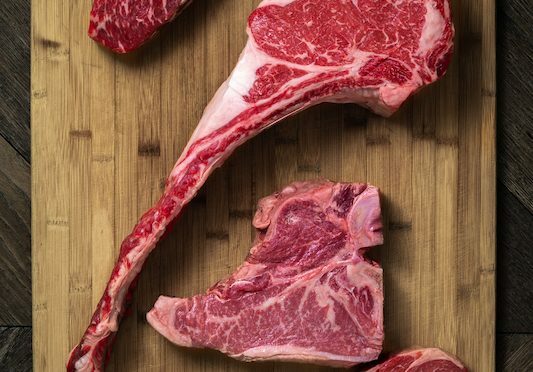 Roganic serves seasonal fare that strays far from tradition, introducing an imaginative and ever-evolving style of cuisine that leaves diners intrigued with every course. Roganic first opened in 2011 in Marylebone as a two-year pop-up. Five years later, Roganic returned to London, bringing elements of L’Enclume, Simon Rogan’s two Michelin star restaurant in the Lake District. 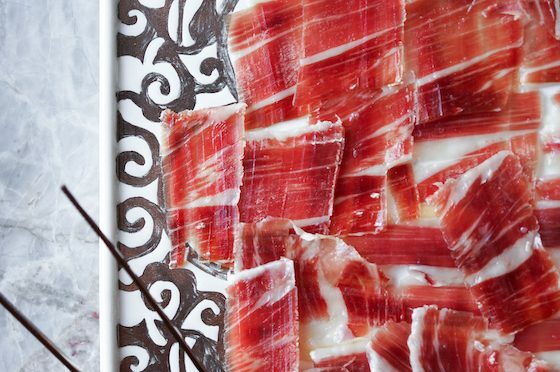 The team is comprised of the original Roganic line up, amongst other past and present employees of UMBEL Restaurant Group. Roganic runs alongside Aulis London, a development kitchen and eight-seat chef’s table which opened in Soho on 14th October 2017. Now, Roganic Hong Kong will continue on its success in London to open alongside Aulis Hong Kong this late February. Address: Roganic, UG/F 08, Sino Plaza, 255 Gloucester road, Causeway Bay, Hong Kong.